Perhaps understandably, most automakers producing electric vehicles have concentrated on fairly humble, practical vehicles–compact hatchbacks, sedans, city cars. Those wanting something a little more exciting have been left in the cold, though–unless they’re prepared to pay more for Tesla’s products, or more still for the new breed of plug-in supercars. Indian firm Mahindra intends to get in on the sports car action too, and has unveiled its latest concept, the Mahindra Reva Halo. 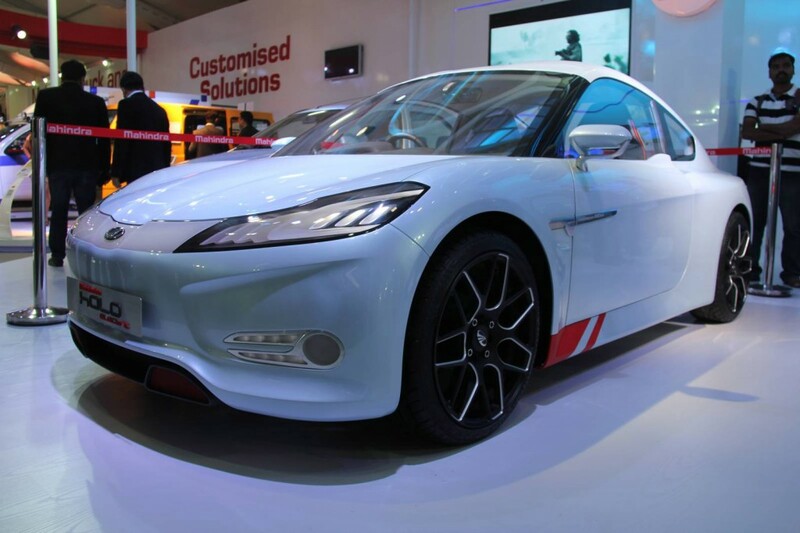 Previewed in concept form at the 2014 Indian Auto Expo in New Delhi, India (via MotorBeam), the Halo is literally a halo model for Mahindra Reva’s expanding range of electric vehicles. Better known for the ungainly Reva-i or G-Wiz, the Halo is a compact sports car in the vein of cars like the Mazda Miata–simple, lightweight, and fun. Power is only modest, its 104-kilowatt maximum translating to 140 horsepower. That’s still enough to reach 62 mph in “under 8 seconds”, while top speed is 100 mph. Range on the largest battery pack is around 125 miles. The styling is the aspect likely to garner most attention, though. According to Motor Authority, the company has consulted both Pininfarina and Bertone while drawing up the Halo, and the sleek, utterly modern styling is testament to their combined talents.